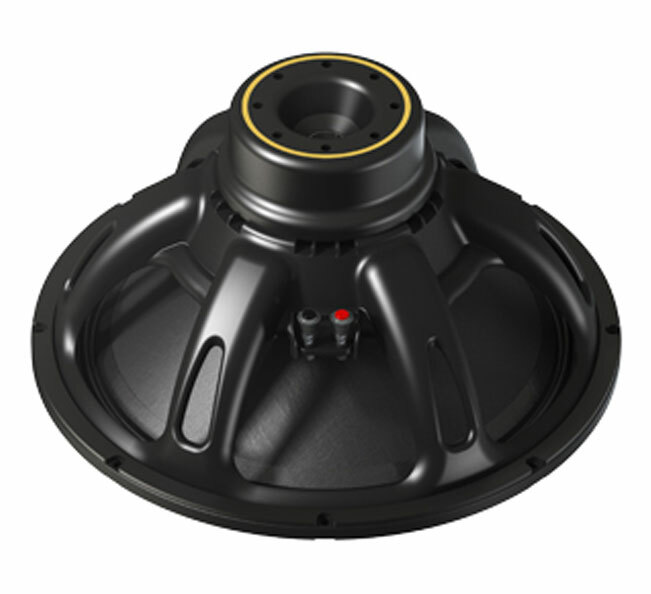 The P. Audio ‘Golden Master’ GM18-100N is the intersection of advanced design and state of the art manufacturing. 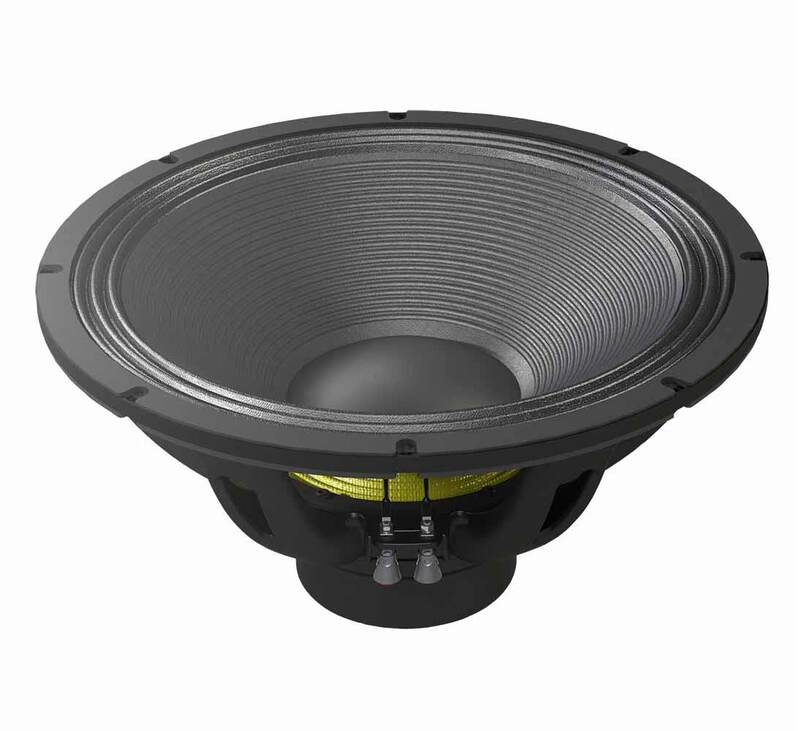 The GM18-100N is an 18 inch (457mm) low frequency transducer for high performance professional audio. 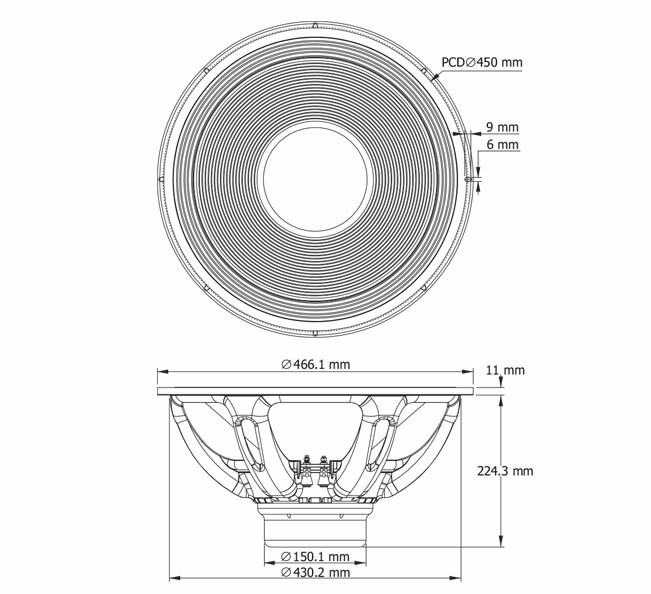 The 4 inch (101.6mm) inside/outside wound voice coil is designed for superior reliability and excursion, featuring ultra-high temperature wire and extended winding length. The low-weight neodymium magnetics maximize the coil’s strengths by providing extra strong magnetic flux across its whole range of movement. This keeps coil motion faithful to the audio signal without distorting. Aluminium ‘demodulation’ rings negate inductance effects in the motor, further improving the fidelity of coil movement. The neodymium magnet structure cooperates with a carefully optimized venting system on the bottom of the sleek Golden Master chassis to control airflow around the voice coil. This cools the durable design to further levels of reliability without losing sensitivity – the GM18-100N is rated at 4800 W peak power handling/ 1200 W AES continuous power handling with nominal sensitivity of 97 dB. Linear and symmetrical stiffness behavior of the suspension compliments linear coil motion. The GM18-100N’s large diameter spider is a durable silicone laminate design that provides symmetrical displacement and reliable voice coil positioning even after hours at high power levels. The cone features a proprietary triple-roll cloth surround. The perfect match of material and geometry mean ultra-low distortion of cone movement and ultra-low distortion of sound. Coating keeps the cone rigid and waterproof during operation. The ideal application for the GM18-100N is in a well-tuned vented enclosure, and it is suited to sub-woofer designs using bi-amped configurations. 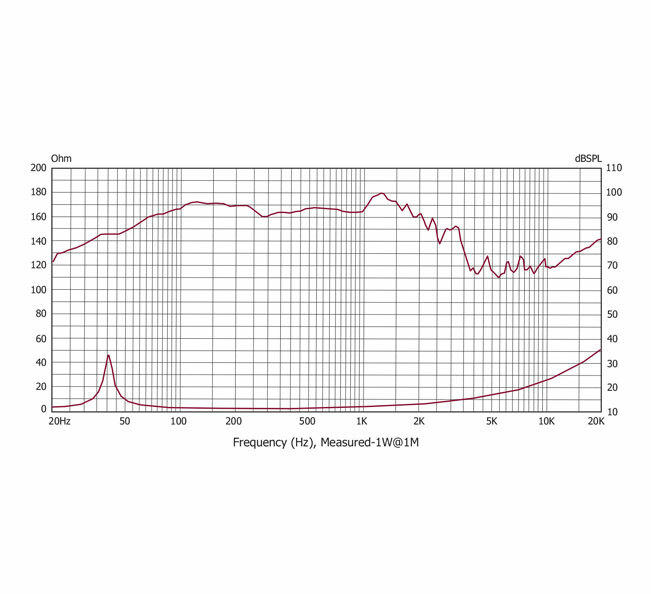 Performance is optimized when using a high pass 4th order Butterworth filter tuned near the enclosure vent frequency. 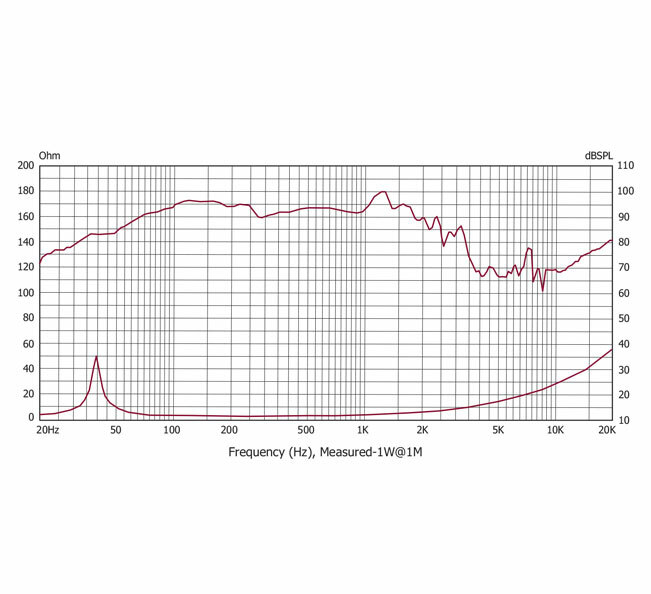 The GM18-100N offers a 30-200Hz useable bandwidth, extending past the 80 to150Hz upper limit of typical applications.